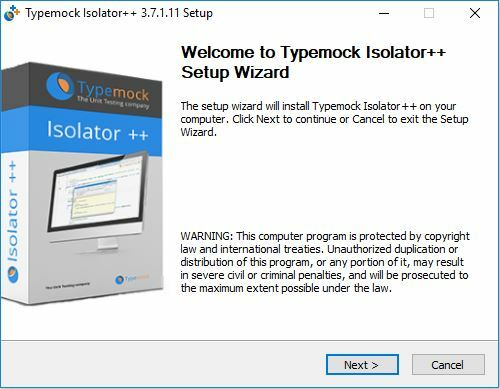 Run the installer TypemockIsolatorPP-[Version].exe. In the welcome screen, press Next. 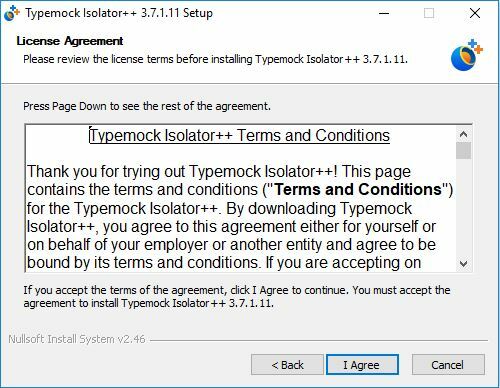 In the End-User License Agreement (EULA) screen, click I Agree. 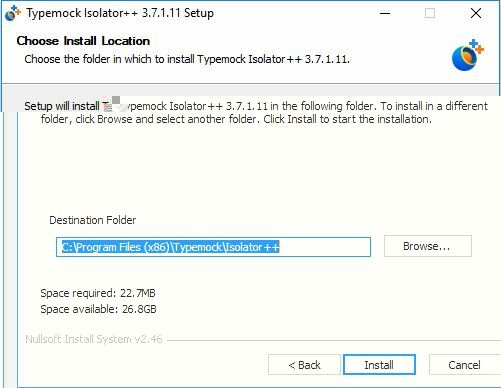 Select you installation folder. Click Install. Once the installation finishes, press Finish.